A man accused of driving onto and damaging the eastern Iowa baseball field made famous by the 1989 movie "Field of Dreams" must serve two to five years of probation. Television station KCRG reports that 21-year-old Austin Pape, of Dyersville, also was granted a deferred judgment at his sentencing Monday in Dubuque. A deferred judgment allows Pape's conviction to be removed from court records if he fulfills his probation terms. Baseball fans and movie buffs will soon be able to tour the home where the 1989 movie "Field of Dreams" was filmed. But before it opens, we have a sneak peak. When you walk inside the home, it's like you're stepping into world of the Academy Award-nominated movie. 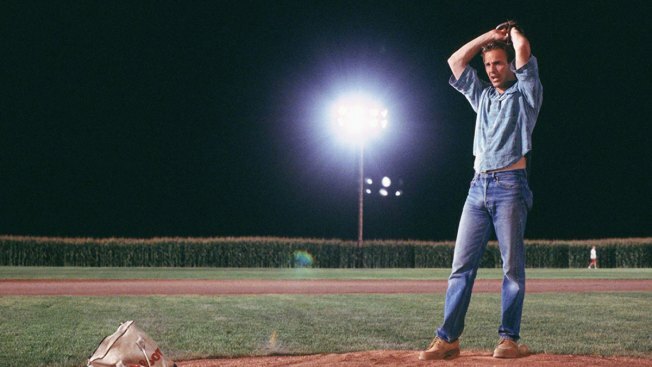 The "Field of Dreams" home has been restored to look just like it did for the film. Thousands of people from across the country have visited the set each year, but the house has always been off limits. Visitors can now check out the kitchen, living room and baseball artifacts scattered around the first floor. Tours of the home are set to begin on Nov. 1. Only the first floor will be open to the public because someone actually lives on the second floor.